Floods are among the most frequent and costly natural disasters. Flooding can occur from the result of several days of sustained rain, thawing snow, coastal storms, or overflows of dams or other water systems. Floods can develop slowly or quickly - Flash floods can come with little or no warning. Failing to evacuate flooded areas, entering flood waters, or remaining after a flood has passed can result in injury or death. 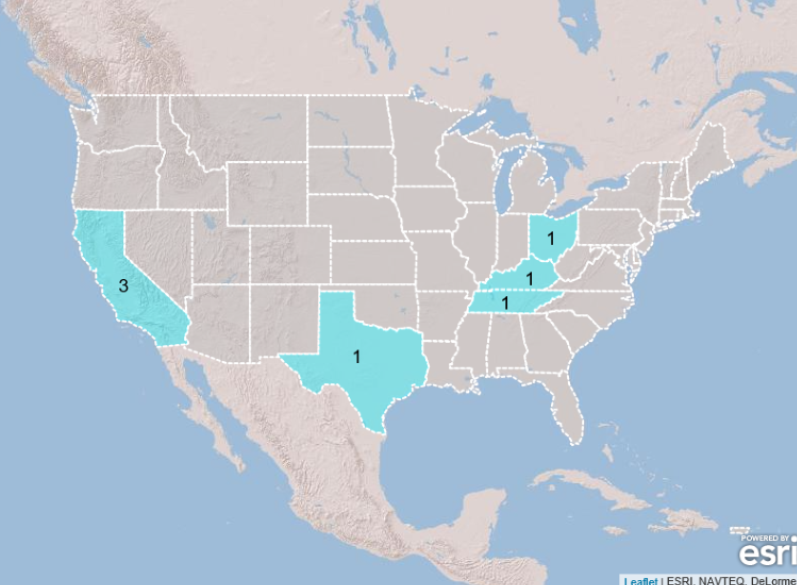 According to the National Weather Service, as of February 22, 2019, there have been nine flood-related fatalities in the United States this year, including one in Ohio. On February 7, a man in Pike County drove his vehicle around a road barricade and became stranded. Also in February, Ohio counties Guernsey, Jackson, Monroe, Pike, Ross and Vinton declared local emergencies due to flooding. There were no requests for state assistance. According to the National Weather Service, there were 83 flood-related deaths in the U.S. in 2018. The majority of the deaths occurred in Texas with 12, followed by North Carolina with 11 deaths, mostly attributed to Hurricane Florence. Flood waters can be extremely dangerous. Just six inches of moving water can knock an adult down, and one foot of moving water can sweep away small vehicles. Two feet of rushing water can carry away most other vehicles, including SUVs and pickup trucks. Never walk or drive through flooded roadways. You cannot tell the depth of the water or the condition of the ground underneath. Play it smart. Play it safe. Turn Around Don't Drown©. Flash flood waters move very quickly and can roll boulders, tear out trees, destroy buildings and obliterate bridges. Walls of water can reach heights of 10 to 20 feet and generally are accompanied by a deadly cargo of debris. The best response to any signs of flash flooding is to move immediately and quickly to higher ground. Check with your local floodplain administrator to determine if you live in a flood-prone area. Click here for a list of Ohio’s local floodplain administrators – provided by the Ohio Dept. of Natural Resources, Division of Soil and Water Resources. Click here for additional information on flood maps and flood insurance studies. Click here to view an interactive flood map of FEMA’s National Flood Hazard Layer. Consider installing check valves in building sewer traps to prevent flood waters from backing up in sewer drains. Flood damage to vehicles is covered by auto insurance when comprehensive coverage is purchased. Listen to a radio or television for the latest storm information. Fill bathtub, sinks and jugs with clean water in case water becomes contaminated. Move valuable household possessions to upper floors or to safe grounds if time permits. If you are instructed by local authorities, turn off all utilities at the main power switch and close the main gas valve. If indoors, turn on a battery-powered radio or NOAA Weather Radio to get the latest emergency information. If your area is advised to evacuate, do so immediately. If outdoors, climb to high ground and stay there. Avoid walking through any flood waters. If you are driving and have come to a flooded area, turn around and go the other way. Many deaths have resulted from attempts to drive through flooded roadways. Evacuation is much simpler and safer before flood waters block your escape. Leave early enough to avoid being marooned by flooded roads. Never attempt to drive or walk through flood waters. Water could be deeper than it appears and floodwater currents can be deceptive. Remember it only takes two feet of water to carry away most vehicles. Listen to Emergency Alert System (EAS) messages on the radio or television for evacuation instructions. Follow recommended evacuation routes. Shortcuts may be blocked. The hours immediately following a flood can be very confusing. When disaster strikes, the county emergency management agency and local government initiate rescue, evacuation and shelter missions and provide emergency assistance to meet the public’s immediate needs. If the commissioners declare a state of emergency for the county, the local EMA may contact the Ohio EMA for assistance in coordinating state resources and response activities. Based on the extent of the incident, the governor may declare a state of emergency for the affected county or counties. If disaster damages exceed state and local capabilities, the governor may request the president to grant federal disaster assistance through FEMA. Before entering a flood-damaged building, check the foundation for cracks and inspect porch roofs and overhangs to be sure they are adequately supported. Ask a building inspector to check the house before you go inside. Be alert for gas leaks. Do not strike a match or use open flame when entering a building unless you know the gas has been turned off and the area ventilated. For more information on floods or flood safety, contact your state or local emergency management agency; the Ohio Department of Natural Resources, Division of Water Resources; the National Weather Service; or your local American Red Cross chapter. Evacuate areas that are subject to flooding. This includes dips, low spots, canyons, washes, etc. and go another way. Never drive through flooded roads or low water crossings. Rapidly rising waters may engulf the vehicle and sweep it away. If camping, choose camp sites along waterways with care. Remember that storms that are miles away could bring raging water your way.